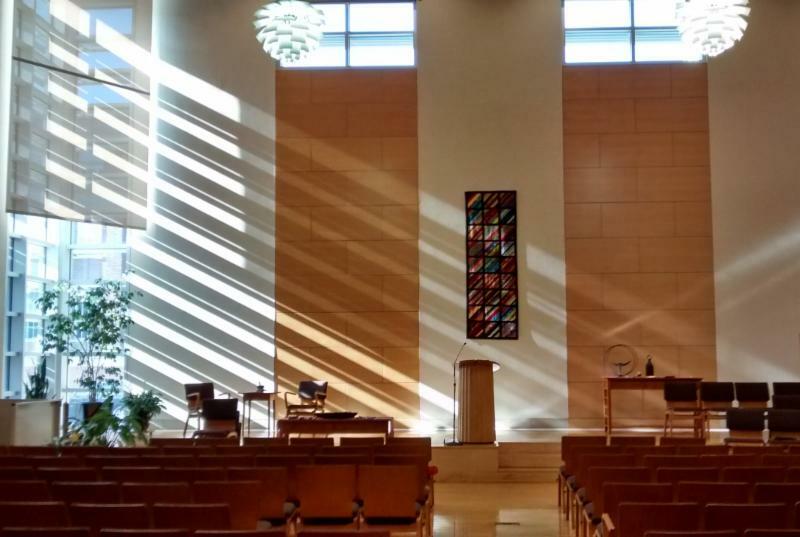 Welcome to Windows Weekly, Albany UU's email news and updates. We're trying something new! We are combining our Weekly Preview email and our monthly Windows newsletter into one central source for all things Albany UU! This means that instead of a monthly newsletter, you will receive a weekly email newsletter. We ask for your patience as we make this transition and we welcome your feedback. The prophetic tradition, transformation, justice, and Sanctuary. Joe Paparone earned a Master of Arts in Global Leadership from Fuller Theological Seminary. He volunteers with New Sanctuary for Immigrants, ICE-Free Capital District, and Capital Area Against Mass Incarceration. This singsong taunt that may haunt us from the playgrounds of our childhoods may serve to remind us of the power associated with knowing secrets. It may serve as well to remind us there could be a price associated with knowing those secrets. The lessons associated with price and power, connected with some of the most powerful secrets of our families and associations (some of them carried throughout the generations); and the sense of being ‘in’ or ‘out’ (depending), are likely to influence the course of our lives. Rev. Ashley is a longtime friend of Albany UU where she was ordained. Recently retired, she lives in Voorheesville with her husband and their cat. A new year begins at Labor Day, and we look around our lives and ask, “What comes next?” and “What should go?”, and we welcome the inevitable invitation to take a risk. Diane is passionate about advocacy for people living in poverty and for family caregivers. She is a director at Unity House in Troy and is also a spiritual coach and retreat leader. Full details about our Summer Services can be found here. Our summer services continue through September 2. How is a summer Sunday at Albany UU different from other Sundays? --The 9:00 am Meditation continues. --We have Service at 10:00 am. Summer services are coordinated by Randy Rosette, with a delightful list of guests in the pulpit. -- Childcare is offere d for children ages 7 and younger. Youth and children age 8 and up attend the service with their families. --The people you've enjoyed all year are still here, plus it's a time we often have visitors who are on their summer voyages from elsewhere. --Contributions of flowers from your garden for the service are welcome! -- If you can volunteer to help on a Sunday, we have openings for Greeters and Ushers. Sign up here anytime! You can also call the office, 518-463-7135, or sign up at members.albanyuu.org under Volunteer Opportunities. 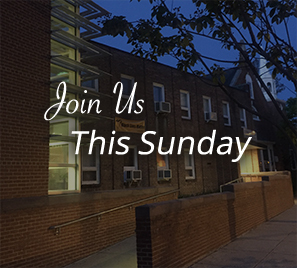 --For more information about Summer Sundays, click here. --Note that office hours for August are: 9:00-1:00 M-Th. Windows Weekly is now our only email publication going forward. It’s important to get news to our congregation about upcoming events, classes, forums, issues, status of items such as Sanctuary Congregation, etc. Send it all in to windows@albanyuu.org . Have you been wondering where our spiffy new logo came from? Wonder no longer! The inspiration for and assistance with our logo came from several sources. First, Tammy looked at some of the UUA Chalices with the welcoming rainbow colors and selected the shape and colors that fit our needs. Next, Leah brought out our beautiful Albany UU Banner, designed in part by Amy Lent and made by Sue Berzinis and Jan Satin. This is the banner we take to the UUA General Assembly each year and proudly display. Leah took a picture of the banner and literally cut and pasted the cityscape chalice and placed it inside the rainbow circle. Leah then sent that to her daughter Molly who photoshopped it, cleaned it up and made it look very professional. Lastly, Tammy took the final copy and added our name and welcome. It was a team effort! Thank you to Leah and Molly for all of your help! Check out the RE Newsletter as we look ahead to fall and the line up for children and youth. Save the date for a Parent/Caretaker Orientation Sept 30! 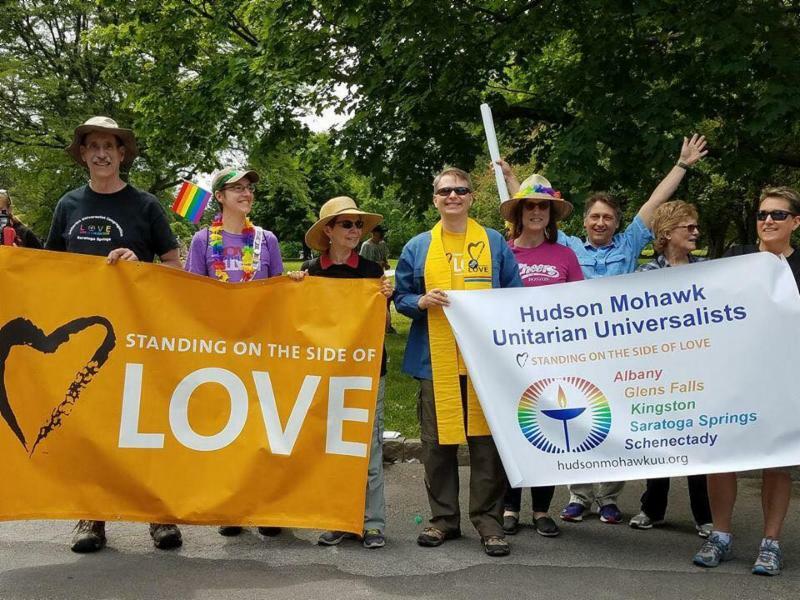 Following the May adoption of our Sanctuary Resolution (and with our new status now appearing on the Albany UU website), we are anxious to issue a formal public declaration that we have become a Sanctuary Congregation. But we need to be organized and fully prepared to actually offer assistance when it is needed, and there is work to do to get there. We have reached out to almost 40 other congregations in the area, and a good number have expressed interest in partnering with us. We hope to hold an organizational meeting of partner congregations in September, where we can formalize a coalition that will speak on immigration issues with a loud and unified voice. We also need to establish a dependable team of volunteers from the partnering congregations that will agree to protocols and stand ready to provide material support to persons in need. As for the possibility of offering physical sanctuary, our partner the Friends Meeting House hopes to have its renovated guest apartment ready in September, and there are other potential partners with available guest space. In July we co-sponsored a successful and well-publicized forum with a panel of refugees with remarkable stories, concurrent with Opera Saratoga’s staging of The Consul, an opera about the immigrant experience. We intend to work to build trust with the immigrant community as well as continue to educate ourselves about immigration and sanctuary issues. Stay tuned! Bring water (real or virtual) gathered during your summer (at home or away) to symbolize the regathering of our community. Send a couple photos by Sept. 1 of your summer activities for inclusion in the slideshow to: photos@albanyuu.org . ﻿Plan on lunch after the service! Everyone is invited to a light lunch in Channing hall right after the service. Please bring a “finger food” to share (no utensils and no heating up needed! ): sandwiches (cut in half), raw veggies, fruit, cheese and crackers, deviled eggs, or other appetizers. Drop off your contribution that morning in the kitchen. This is a nice time to catch up with friends and meet some new people after the summer’s activities. See you then! 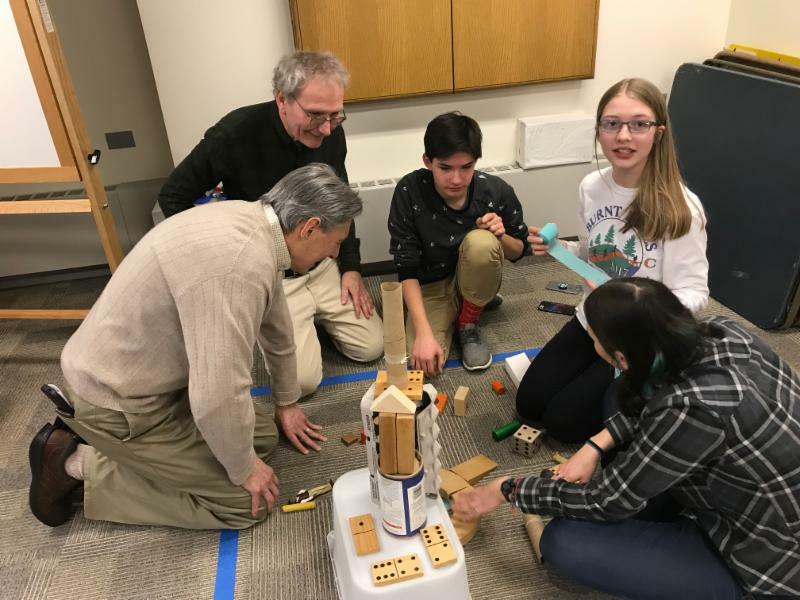 A great way to get connected through a small group at Albany UU is through Meaning Matters. Meaning Matters focuses on sharing personal experiences, questions and insights centered on the theme of the month. The groups use a packet of material distributed by email in the beginning of the month. It includes a couple of short essays, deepening exercises, a list of questions, a couple of pages of quotes, links to articles, videos, books and movies on the theme that can be used as a source of reflection to prepare for the meeting. Do as much or as little as you have time for that month. The meetings are directed toward exploring the theme as a source for seeking truth and deeper meaning and facilitates connections between group members. Meaning Matters is open to everyone. Please contact the office (518-463-7135) or Rev. Trumbore or visit our member web site for registration information. 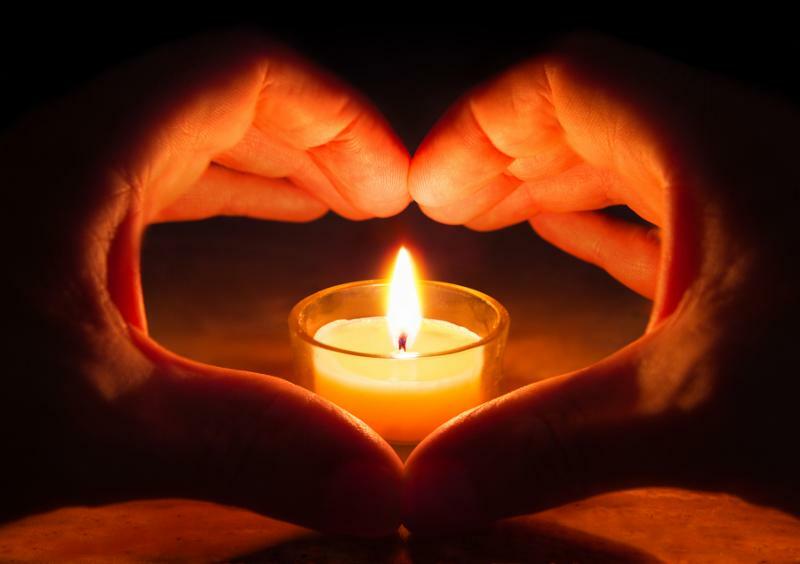 A memorial service will be held for Stephen Dolben, Linda Way's son, this Sunday, August 19 at 1:30 pm in the Sanctuary , followed by a reception in Channing Hall. Contributions of finger foods for the reception are welcomed and encouraged. We have permission to park in the UAlbany Hawley Lot for this event. Get ready for the September 9, 5:30 pm discussion of the Walker Book Group by reading the longer, summer book, Pachinko by Min Jin Lee. This book was selected as one of The New York Times Book Review’s 10 Best Books of 2017. Bring your favorite dish to share and a small contribution to cover beverages. Find more information here ! 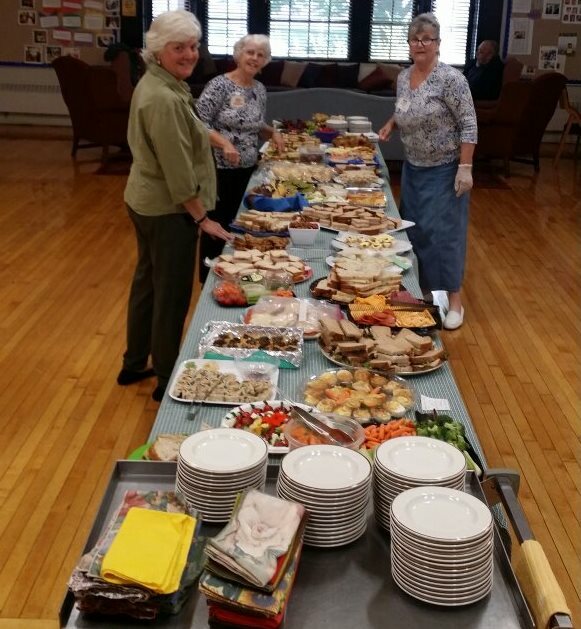 Albany UU Photo Directory – Connecting Our Congregation! Be part of the Albany UU photo directory, coming this fall! Help us build a tool that will enable all of us to put names with faces. Bring your family to a photo session at Albany UU, and you will receive a complimentary 8x10 photograph as well as the opportunity to purchase additional photos, if you choose. Every family will receive a printed and mobile Albany UU photo directory. Find more information here ! Overall stay at Silver Bay was enjoyable and I loved archery. Looking forward to next year. Haven’t done archery since you were a kid at summer camp? Here’s your chance to revive your skills! Please join us for UU Weekend at Silver Bay from October 12-14, 2018 . Find more information here ! 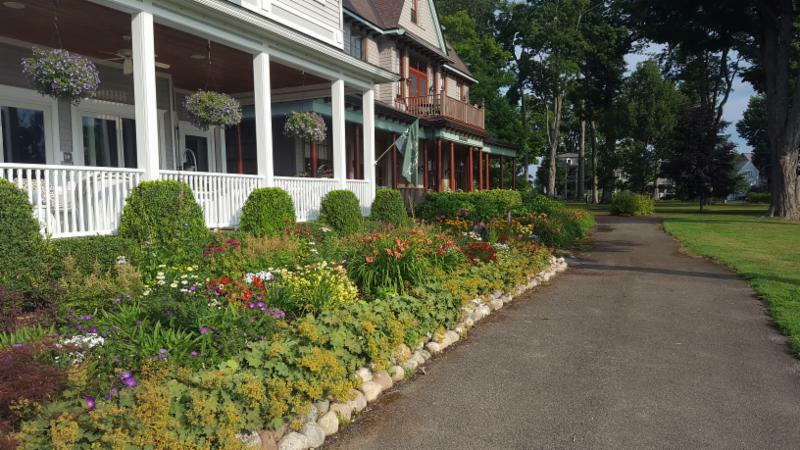 Do you have two hours to contribute to maintaining the gardens surrounding Albany UU? The Gardening Committee welcomes you to sign up here , where you can select which week(s) you'd like to help. Volunteers often work in pairs. No experience necessary. For more information or to receive e-mail updates, please contact Donna Meixne r or 518/439-5947. See also - volunteer opportunity under the SRC heading below. 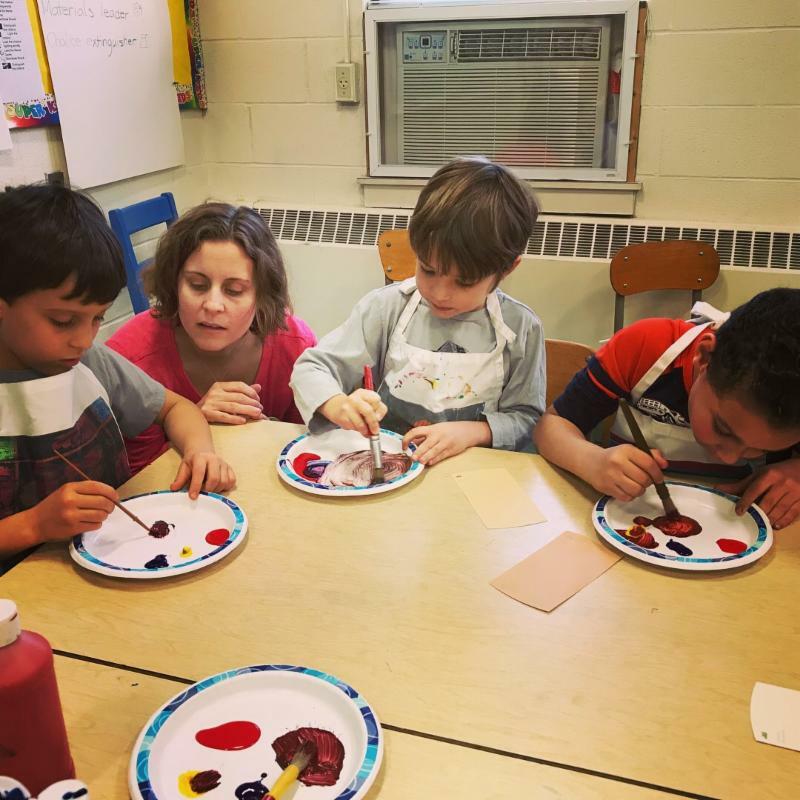 Keep up with what's happening for children and families and other events by checking out Leah's e-News . Leah P and Elizabeth are working hard on setting up the children’s rooms. But they need volunteers’ help to put up some attractive bulletin boards. Do you have a few hours to spend during the day or an evening? Contact Leah at dre@albanyuu.org. Join families and other adults from Albany UU to picnic and play in Washington Park after the service (around 11:30). Bring your own lunch, chairs, blanket and your favorite lawn games. We’ll meet near the playground. Bring a friend! It's a great time to invite families you know who are interested in our community! This is an important meeting for those of you volunteering in RE this fall – Sunday morning group leaders, nursery/toddler volunteers, and youth advisers. Please complete this doodle poll to RSVP https://doodle.com/poll/8x9csrgadgyctyqp . Prevent Child Abuse NY will give a presentation on signs of child abuse and neglect and other safety concerns, including screen use. I’ll give a review of our Safe Congregation Policy. The other half of the session will be devoted to team meetings; I have an activity for you to get the children and youth involved right away in feeling comfortable and a part of your group. Bring your calendars because you'll want to create your schedule of volunteering to lead and assist this fall. Now is the time to register your child for 2018- 19 RE! Avoid the rush and register your child for RE today on line and pay the registration fee on line too! You can also pick up a paper copy in the RE Office or ask the office to mail one to you. Make your check out to Albany UU and put RE Registration in the memo line or pay in cash. Call the office at 463-7135 or email Leah at dre@albanyuu.org with questions. Events this Friday, August 17 from 1:00 - 6:00 PM will be at Albany UU. Afternoon events and workshops will be followed by a potluck. Find more information here about Friday's events , Saturday's events or visit the Peace Conference website. PAUSE (People of Albany United for Safe Energy) has partnered with the city of Albany to turn the Albany Jazz Festival into a zero waste event. On Saturday, Sept. 8, 1:00-9:00 pm they will attempt to redirect vendors and the public alike from throwing their food waste into the trash. They will provide compostable buckets and bags for the refuse instead. PAUSE is asking for help. ﻿Please see the flyer for details. The most important thing you can do is to let Sandy Steubing know that you can help on Sept. 8 by devoting an hour or two of your time. Sandy Steubing 518-268-7045 or ssteub@gmail.com. ﻿See also SANCTUARY UPDATE above. Our Pastoral Care Associates have been trained in compassionate listening skills and are available to all members and friends of our congregation. To contact a Pastoral Care Associate, email: listeners@albanyuu.org , contact Rev. Sam Trumbore , the Albany UU office at 518.463.7135, or one of them personally. They are: Chuck Manning, Phil Rich, Randy Rosette, Sandy Stone, Lisa Barron, Donna Meixner and Dee VanRiper. Exceptions: It’s summer! Many of the “regular" activities listed below don’t take place in the summer. Call the church office if you want to find out if an event or meeting will take place.